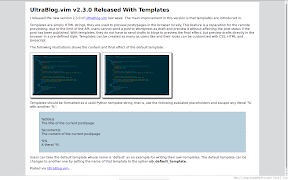 I released the new version 2.3.0 of UltraBlog.vim last week. The main improvement in this version is that templates are introduced in. 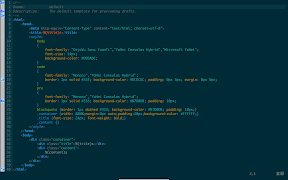 Users can take the default template whose name is 'default' as an example for writing their own templates. The default template can be changed to another one by setting the name of that template to the option ub_default_template.